The Kroger Co. plans to deploy point-of-care blood testing devices at all of its health care locations to help customers prevent heart disease. Kroger Health, the supermarket giant’s health services arm, said late yesterday it will roll out handheld CardioChek Plus analyzers from PTS Diagnostics at its more than 2,100 pharmacies and clinics to perform blood checks that help identify people at risk of heart attack, stroke and diabetes. Plans call for deployment of the devices to be completed by next month. 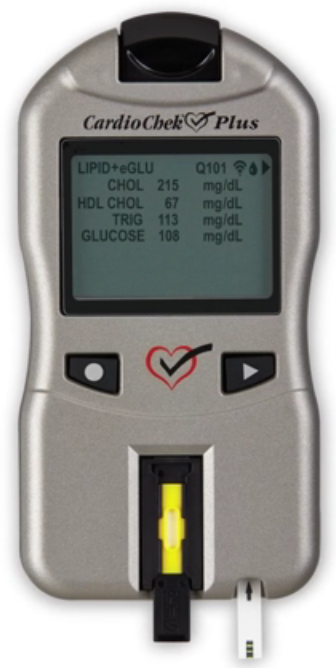 CardioChek Plus tests lipid profile and glucose level with one fingerstick, eliminating the need for additional testing and enabling a more seamless experience for the patient. The system measures total cholesterol, HDL cholesterol, triglycerides and glucose and provides real-time readings and ratios that are immediately documented by trained staff on-site. Using the same technology as clinical laboratories, results are provided in as soon as 90 seconds. The device’s speed and portability — combined with the reach of Kroger — will boost the number of potential patients who can receive preventive health screenings and begin clinical protocols, according to Kroger Health, which has more than 22,000 health care associates across its pharmacies and clinics. The CardioChek Plus rollout is aligned with Kroger's broader health and wellness initiatives, including its "Wellness Your Way" campaign, designed to provide personalized health care solutions to the more than 60 million Americans who visit Kroger Co. stores — including the Kroger, Ralph's, Fry's and Fred Meyer banners — each year. Kroger Health professionals provide services, treatment and coaching in areas ranging from nutrition counseling and weight loss programs to diabetes prevention and immunization services. Kroger’s adoption of the CardioChek Plus system will help its customers address preventable disease through early identification, targeting disease progression, according to Robert Huffstodt, president and CEO of Indianapolis-based PTS Diagnostics. "Our partnership with Kroger Health is an important step towards improving the overall state of population health," Huffstodt said. "Nearly 90% of Americans live within five miles of a Kroger Health pharmacy or clinic, and these individuals can now be quickly monitored for cardiometabolic conditions."